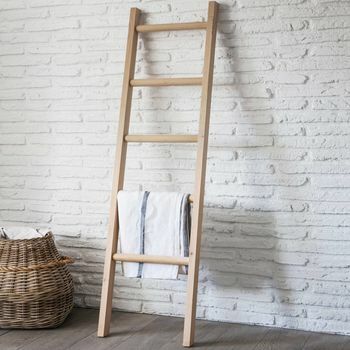 Our stylish Towel Ladder provides exclusive individuality with its one-off design. 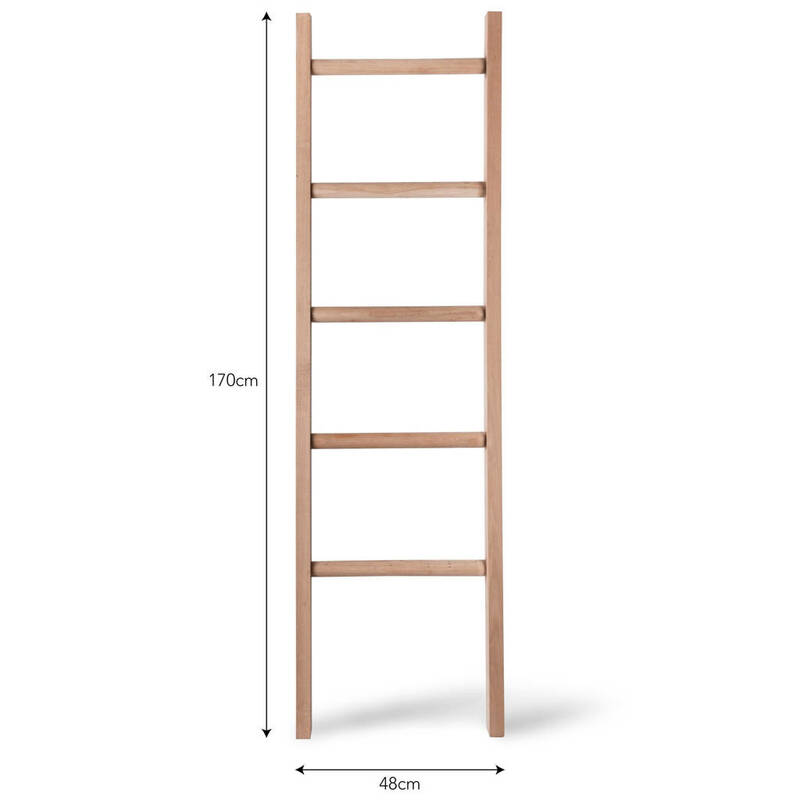 It will make the perfect feature within any room, proving instant hanging space for towels, clothes and tea towels. It's simple design also allows for creativity to flourish, hanging jewellery or scarfs from its rounded slats, or effortlessly display a favourite outfit, hanging uninterrupted from its five smoothly finished rails. 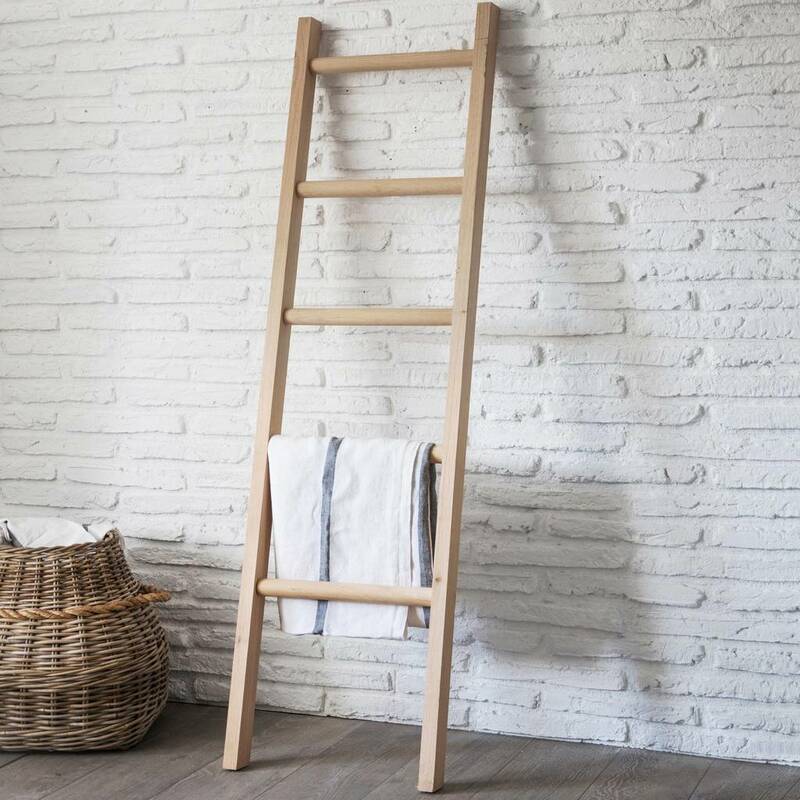 Carefully crafted from Raw Oak from sustainable and responsible sources within Europe, the towel ladder has been beautifully designed to ensure the natural characteristics of the materials are a prominent and unique feature. With its minimalist shape and modern design, it fits seamlessly into any living space, complementing or matching any decoration style. Simply rest the piece against any wall for a contemporary and impressive feature, adding a burst of originality to a bathroom, bedroom or kitchen.